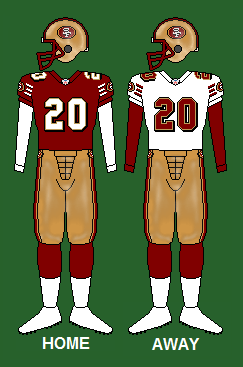 San Francisco started the season with a 3–1 record, but Young suffered his season- and career-ending concussion against the Arizona Cardinals in Week 3. After defeating the Cardinals and the Tennessee Titans without Young, the 49ers went on to lose ten of the remaining eleven games of the season. It was the first time the team had missed the postseason since 1991, their second time missing the postseason in 17 seasons, and their first losing season in a non-strike year (as well as their first season without at least 10 wins) since 1980. Steve Young, Jeff Garcia, Jerry Rice, Terrell Owens, Other players were on the roster. ↑ Football Outsiders – DVOA 7.0: Worst Teams Ever, better than only the pass defense of the 1996 Ravens.